They looked like a masterpiece. Their black bodies, winding and grinding, arms stretched out for freedom, their eyes closed as they were caught in a dance of pleasure and pain, the dance floor a form of meditation. The Norfolk State University Sweatbox looked like the Sugar Shack. You know—the 1971 Ernie Barnes painting we saw in Good Times and on the cover of Marvin Gaye’s I Want You. Barnes never painted his subjects with their eyes open because he believed us to be blind to one another’s humanity. At Norfolk State, I found myself by first losing myself on a dance floor. I think we all did. And yes, we came to learn. We came to build. And we came to thrive. But I think it started on the dance floor. They say we danced in the dark until the walls sweat. I saw it—the moisture on the walls—evidence of our souls releasing the tensions you carry when you are black in this world. Because when you are black, the very privilege of whiteness rests on your blackness. So we have to shake off that game the country teaches us to play where we subscribe to the lie that black is a monolith that can be quantified and you can be too little or too much and not enough to count at all. We have to gain the strength to fight the power that says citizenship is a hierarchy of race, class, gender and orientation. We had to wake up. And for some of us, that meant Dr. Pendleton showing us the divine craft of critical thinking, and Mr. Vann stood up at poetry night and poured life into us as he performed When We Were Colored. Or maybe it was Mr. Koonce or Dr. Brockington showing you how to get your goals and not just dream. But make no mistake: The awakening started at the Sweatbox. We walked on that yard as kids and left as Spartans. Our Sparta is a campus not built of bricks and buildings, but a community made of people and spirit. And we dance. 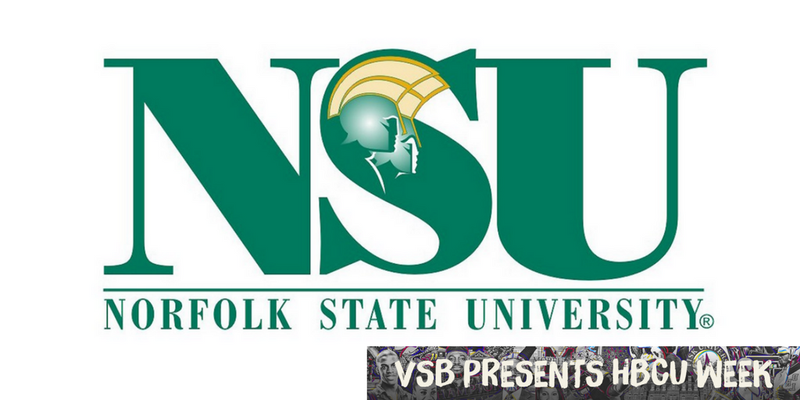 An inherent rhythm and soul permeates the fiber of Norfolk State. Even the breeze sounds like a song. Maybe that’s what made it so easy to feel so safe you could lose yourself on a DJ Vince dance floor and find yourself again. In the dark, our black bodies were gold and bronze and blue. And we were beautiful, baby. And we were free. Some of us for the very first time. Jeneé Osterheldt is a 2017 Harvard University Nieman fellow. A culture critic and columnist for the Kansas City Star, she joined the paper in 2002 as a music critic and nightlife columnist. In 2008 she transitioned to culture-column writing. She often tackles race and identity through the lens of pop culture. The NAACP of Olathe, Kan., honored her as a diversity advocate on MLK Day 2016. She spent her year at Harvard exploring the role of pop culture and the arts in shaping identity and social justice movements and recently returned to the Star. Even though she’s hardly home, she’s always reppin’ NSU! You can find her on Twitter.